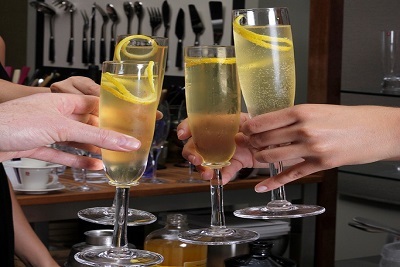 This classic cocktail dates back to World War I and is a great way to share a festive bottle of bubbles with your friends. 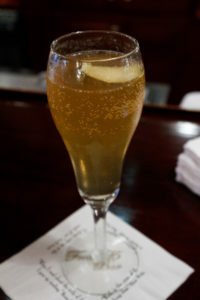 Also called the French 75, the traditional garnish is a long lemon twist, but can be customized to your tastes or theme. Make this drink brunch ready by swapping out Champagne for a grapefruit flavoured Radler! Or have a real throwback to the "original" cocktail by using cognac instead of gin, mais oui!